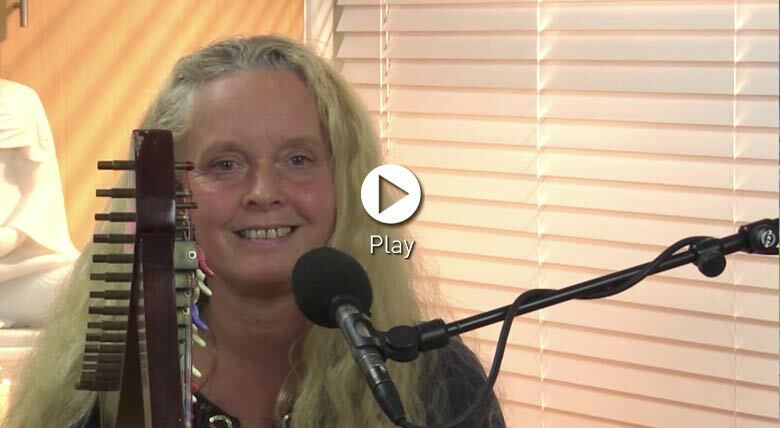 Whether you consider yourself a singer or not, join in with Jane as she explores modern melodies for the Sanskrit verses of chapter 7 of the Gita. Welcome to this session which is dedicated to helping you feel more empowered. The aim of each session is, like a good meal, to 'feed' and nourish you with the taste of these pure ancient words. When you hear the words - directly spoken by a Teacher from the distant past, listen carefully. They have healing potential in them. When you sing them, you inherit the inherent light that is in each word and you become a part of that splendour! Know Me, O Arjuna, as the eternal seed of all beings; I am the intelligence of the intelligent; the splendour of the splendid objects am I! Jane will sing the words and then invite you to join in. Buddhir buddhi mataam-asmi, tejas tejas vinaam-aham. To conclude, Jane invites you to close your eyes and meditate on the sparkle of your own inherent light. Feel yourself becoming more settled and balanced, physically, emotionally and spiritually. Imbibe your mind with the affirmation: ‘I am the tree of wisdom. My roots are deep, my light is splendid’. We shall finish this session with the three sounds of OM, followed by the three most potent words of the Gita: Om Tat Sat which denotes our aspiration to uphold the truth (sat) and the divinity within each of us. Thank you..for this love love class. So special. Thank you. Thank you everyone for your comments on this class. Jane has a wonderful feeling for the beauty of sacred sound - I get tears in my eyes when I hear her voice - she can touch something deep inside :-) Check out her other sessions from this series - and more will be coming soon. That was truly special. Thank you Radhika. My heart is singing and smiling! Felt so tired this evening after my son getting married yesterday and I sat and listened and joined in with you and it has brought me a feeling of peace and rest. Thank you so much. WONDERFUL.Really.Straight to the heart. Beyond words.Thank you,Jane Radhika! - Els and Paul.